Anyone who has the opportunity and time to review Giftcoin whitepaper will immediately notice that their team of developers has decided to create a coin that will revolutionise the world of cryptocurrencies and charity donations while making this more accessible for everyone. How many times have you desired to donate to an organisation but are too afraid to do so because there is no guarantee that your funds will go to where you want them to go? Many people get discouraged by this, and others lose the opportunity to receive funding because of the lack of trust. Giftcoin is a cryptocurrency that will make donations easier because according to their whitepaper, it will allow donors to know exactly where their money goes to and is spent on, and for organizations, it offers complete transparency and tracking of the funds they will receive. Giftcoin creators are aiming towards the millennial market, since they are the trend creators currently. Also, they have a prominent voice in social media and believe in trust and transparency, two of the most crucial factors in Giftcoin development and release. That means that right after the donor makes their transaction, the money goes into the blockchain and it goes into the recipient’s hands in a restricted way, to be used only for paying the goods and services previously agreed. Afterwards, the same blockchain is used to send all the records to the donor, using an indelible block, for transparency purposes. 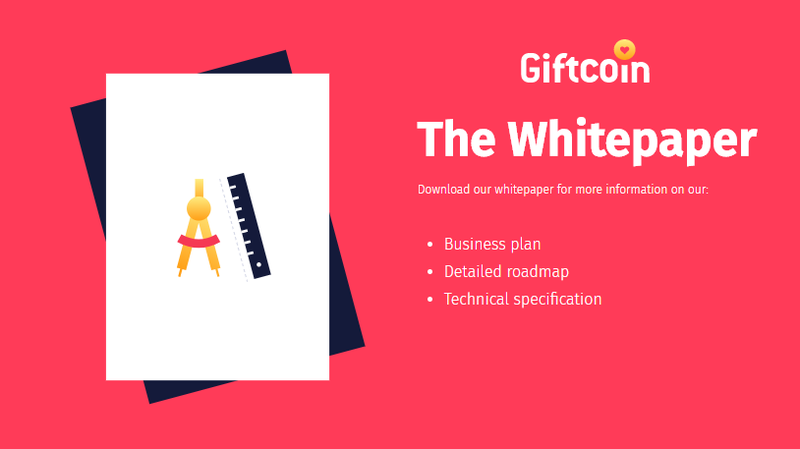 Giftcoin’s whitepaper presents particular cases for projection and identification. Donations to sponsor scholarships in third world countries and to build services in African nations are two glaring examples of how to take advantage of donations made using this cryptocurrecy. Interview with CEO of WePower on WPR Token Sale. Interview with Alex Howard, CEO of GiftCoin on GIFT Token Sale.